We are thrilled to announce the results of the 1st edition of the international competition for young instrumentalists and singers Best Shostakovich Performance. 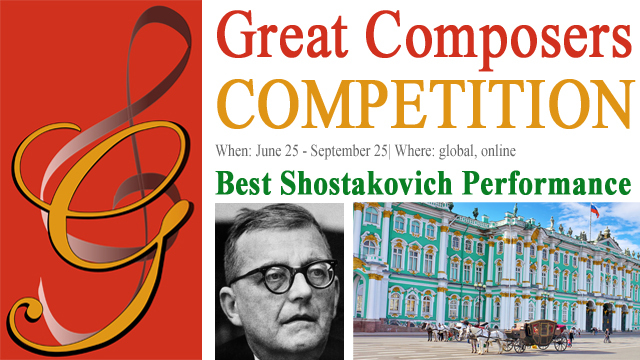 Best Shostakovich Performance is a member of Best Performance Competition Series. All of the competitions in this series are designed in such a way that the award winners will be announced annually on the composers' birthdays. Today is September 25, 2018 - Dmitri Shostakovich's 112th anniversary. Happy Birthday!